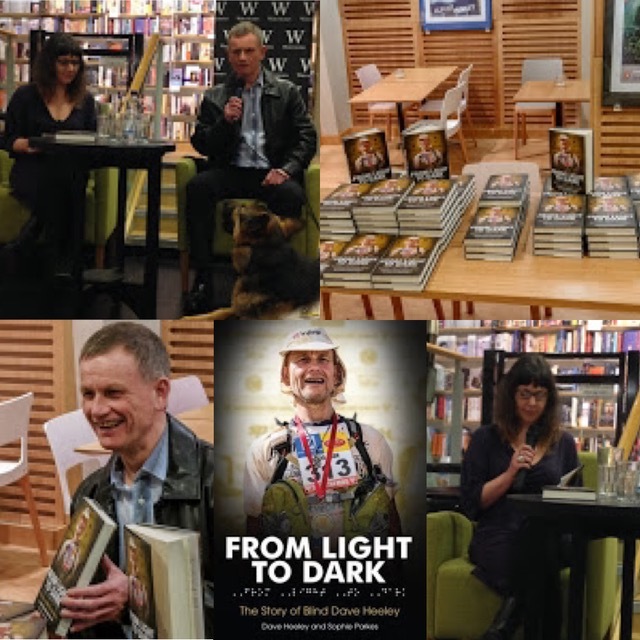 Collaborating with Blind Dave Heeley was a fascinating, rewarding three years. He was the perfect subject to ghost for: more stories and anecdotes than most people spout in a lifetime, but with honesty and transparency that allows the words to fly. From Light To Dark starts at the beginning, when Dave was sighted but burdened by a prognosis of complete blindness due to Retinitis Pigmentosa (RP). The book charts his extraordinary life, from successful businessman to endurance athlete, raising hundreds of thousands of pounds for charity in the process. You may have heard of his feat of running seven marathons in seven consecutive days on seven continents (2008), but that really is only the tip of the iceberg. Sir Ranulph Fiennes, friend and fellow competitor, penned the foreword. The book was published firstly in hardback, then subsequently in paperback, by Pitch Publishing in 2016. It is available from all the usual haunts, including Amazon and Waterstones. 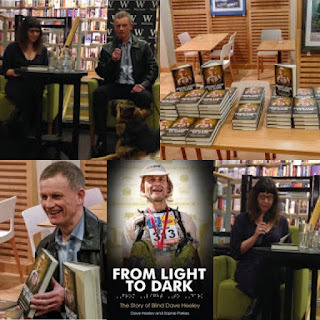 Dave and I launched the book on Thursday 18 February 2016 at Waterstones Birmingham High Street. It was a really lovely evening, with a large, friendly audience who wanted to hear all about Dave's experiences of getting the words down on the page.